“The climb out of Clarens will warm the team up. Coastal riders may well feel the first pangs of thin air. Then there’s good fast bunch riding to Bethlehem. The wind on the day will be the biggest factor here – but being in a circular route, you’re bound to be helped (and held back) at some stage in the day. The weakest riders in the team will struggle to hold on if the fast portion of the team decides to go into the red up to the 135km mark – because the real race starts upon entry of the Golden Gate. Tired riders here will be tested with the short, steep climbs. Already having cycled over 140km at a high speed will test even the toughest riders legs. The road surface and screeching descents will be complimented by the unique and beautiful surroundings of the Golden Gate reserve. The cohesiveness of the teams will be tested through various passes – and some cramps are bound to start nibbling at the calves and hammies with about 30km to go. The strong tactical teams will leave their weaker riders to fend for themselves as the racing snakes breakaway to chase down the final 25km. The last few ascents into Clarens will be team-building stuff but the welcome sight of the quaint town with its many shops (and world class brewery) will provide the extra motivation to get off the bike. • Highest point in the Golden Gate is 2050m asl. 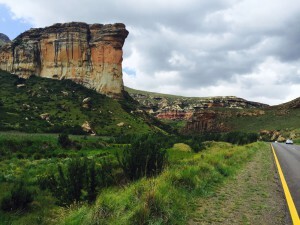 The Cycle Lab Maluti Double90 is not for the unfit, or the faint-hearted. 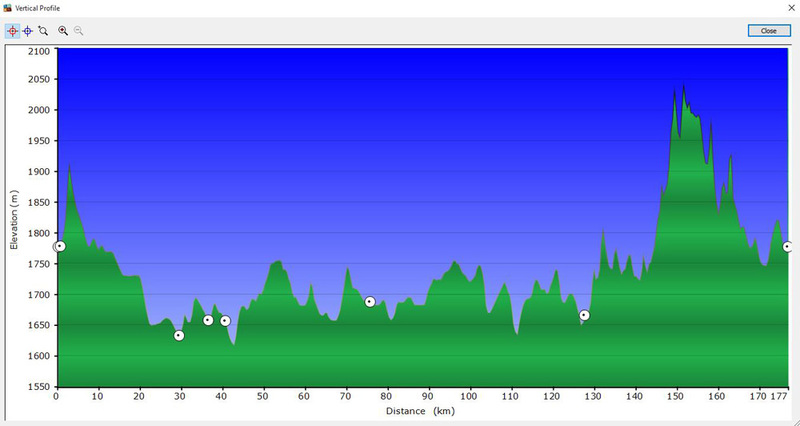 The route starts off deceptively gently, with mild undulating hills from Clarens towards Bethlehem. Please take care at the left turn onto the N5 towards Bethlehem, as the N5 often carries heavy traffic, including trucks. Teams are specifically requested to ride in SINGLE FILE from this turn until Bethlehem. There’s a water point just after exiting Bethlehem on the R26, where you can also restock the energy levels with some banana loaf, potatoes and sandwiches. 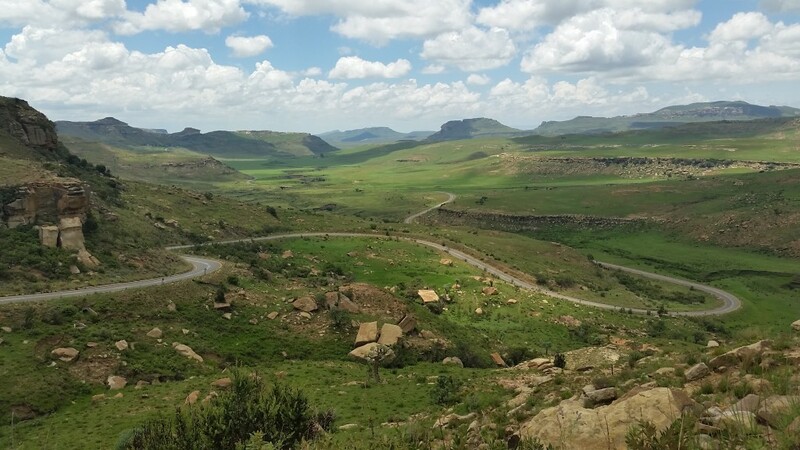 From Water Point 1, the route follows the undulating R716 past farmlands towards Warden and Eenzaamheid. This section of the route has a good road shoulder and teams should be able to get into pacelines and post some good speeds here. The second water point is at roughly 70 km, just before turning right at the four-way stop onto the R57 towards Kestell. Water and Coke will be offered here. The R57 again offers a good road shoulder and with undulating hills, teams should be able to maintain some good speeds. By now, though, the undulating terrain may start to take its toll and teams will have to dig deep to maintain a good average speed in order to make the cut-off at Kestell. 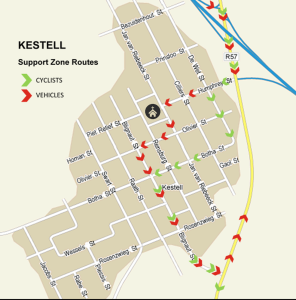 The Supporter Zone is in front of the local Kestell Hotel, where supporters and spectators will find breakfast, light meals and cold beer for sale. Please note that there is a cut-off of 12h00 for teams to arrive at the Supporter Zone and teams that miss this cut-off will not be able to continue as the event cut-off (16h30 in Clarens) will not be reached in time. There will be a 15min “time out” at the Support Zone in Kestell. The team’s clock will stop once the 6th rider of the team crosses the first timing mat at the support zone. The team’s time will start again as soon as the first rider of the team crosses the 2nd timing mat. 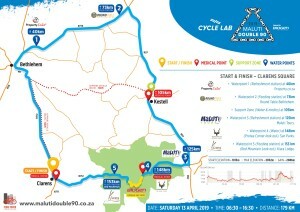 The Cycle Lab Maluti Double90 powered by Biogen will have enough challenges on its own for the average competitor – so we’ve decided to throw in something else to spice things up: The Biogen King of Maluti (KOM) / Queen of Maluti (QOM) Hotspot – monitored by Strava. Once your team has entered the Golden Gate Reserve, you will be steaming towards the finish line in Clarens with only 40 km to go – but not until you have conquered a few steep climbs. Shortly after the new Waterpoint 4 at Protea Corner, we have introduced a 2.6 km timed section around the 150 km mark that includes the notorious ‘Mineshaft’. With gradients spilling over at 16%, what better place to test the legs of the climbers? The climb ends at the top of the ‘Mineshaft’ just before the last water point. Then type in “PPA Strava Club” in the toolbar provided. DON’T type in location. Leave this blank! This race-within-a-race is powered by Strava and the organisers and sponsors cannot take responsibility for any data or application failures that occur on the day – we’re sure you understand that. But the intention is to incentivise the climbers in a tough part of the race to get out of their saddles and virtually race each other. The cash prize will be handed in Clarens at the main prize giving. Riders may only feed or receive assistance of any kind from their team vehicle at the Team Support Zone in Kestell. Support vehicles may not meet or support riders on any part of the route, other than at this point. 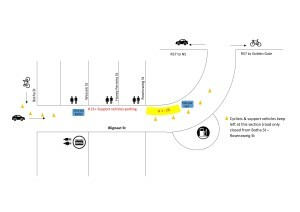 PLEASE NOTE: Team support vehicles may not follow their teams whatsoever along the route. They may only assist their teams at the one support zone in Kestell and will not follow their teams along the route to Kestell, but will travel to and from Kestell via the N5. There will be a 15min “time out” at the Support Zone in Kestell. The team’s clock will stop once the 6th rider of the team crosses the first timing mat at the support zone. The team’s time (and the individual times of all riders in the team) then starts again as soon as the first rider of the team crosses the timing mat at the exit of the Kestell support zone. If no one has crossed with exit mat within 15 minutes of entering the support zone, then the clock starts counting again. It is the responsibility of the team captains as well as the team’s support crews to know these areas as teams WILL face disqualification should a support crew be found supporting their teams anywhere but at the demarcated team assistance area. This is a strict safety conscious decision and a ZERO TOLERENCE approach will be taken. The Kestell Hotel will be open for business and will sell light refreshments to support vehicle crew – please do support them! The toilets at the Kestell Hotel will be open to Token Double90 participants. Clarens Main Road will be partially closed for the start and finish. Please support the riders at the official Supporter Zone in Kestell. The Supporter Zone will be in Blignault Street in front of the Kestell Hotel, where cold beers, cooldrinks and coffee and light meals available for spectators and supporters to purchase. Please note that spectators may not follow riders along the route from Clarens via Bethlehem. Spectator and supporter vehicles will be allowed to travel from Clarens to the Supporter Zone via the R712 from Clarens to Bethlehem (39 km), and the N5 to Kestell (73 km in total). The first finishers are expected back at President’s Square at roughly 12h30.